When it comes to promoting unique flavored SmirnoffVodka, three is better than one. 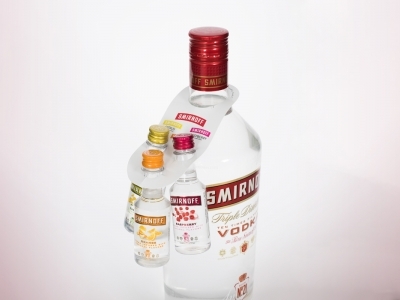 The printed CGP bottle neck hang tab from Do-It Corporation provides an attractive and secure way for Smirnoff to promote not one... not two... but three trial sized bottles with it’s 1.75-liter bottle. This presentation definitely gets noticed in the store.